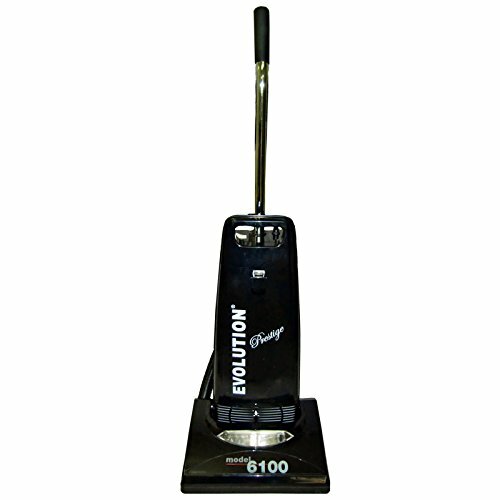 Evolution 6100E Vacuum. Features 10amp bypass motor with lot's of airflow! Metal handle, electrostatic exhaust filter, charcoal pre filter, metal brush roller with 4 brush strips, metal bottom plate, simple, built well & lasts! No tools on board which makes this lighter than machines that do have tools on board. We include a 7 piece attachment kit with 12 foot hose. 1 year warranty.